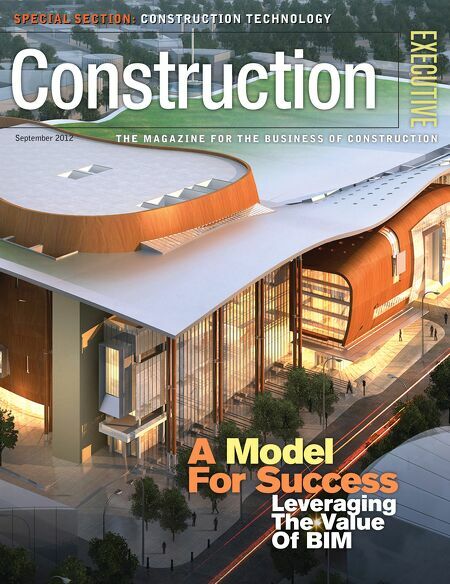 Successful construction firms don’t view marketing as an expense, but rather a strategic approach to business. The “leading with marketing” philosophy embodies how a company approaches its business, marketplace and clients. When companies lead with marketing, they choose which markets to target, what services to offer, how to differentiate, how to communicate and how to win. The role of marketing within a construction firm should focus on understanding, creating, communicating and delivering value. A construction firm’s marketing strategy must set the direction and scope of the organization while supporting the company’s business plan and strategic objectives.Ultimately, the role of marketing is a summation of activities designed to identify opportunities, win projects, satisfy client needs and win more work. Contractors earn revenue by successfully completing profitable projects. Marketing efforts must be built around strategies and actions that position the firm to get more profitable projects. Every day, more firms enter the construction market, and existing firms grow and diversify into new markets. To survive and thrive, contractors must establish a competitive advantage. A competitive advantage can be derived from a number of sources, but ultimately it is based on the value a firm brings to its clients. This value can come from a unique combination of resources, a cost advantage, a market position, niche focus, financial resources, relationships, reputation or experience. Differentiation is the process of distinguishing services from the competition. Not all construction firms are the same, but not every company capitalizes on its differences. Part of the marketing process is to identify those differences and turn them into meaningful value propositions. The client value proposition consists of the sum of benefits and value derived in return for payment of the product or service. In other words, it’s what clients get for their money. For construction firms, the value proposition shouldn’t speak to the services offered; rather, it should focus on the benefits clients derive from those services. Deciding how to position a firm’s products and services needs to flow from its business plan and align with its differentiation strategy. Messaging Well-developed messaging is the backbone of branding. Given the rapid pace of technology today, the marketing message has taken on new forms and is engaging with audiences at an unheard-of rate. With the Internet, mobile technology and digital media, clear marketing messages can have a far-reaching impact. The development of an effective marketing message is essential to building a brand and implementing a marketing strategy. Integrating Marketing Communications Marketing communications are designed to deliver a clear, compelling message to the right decision-maker or influencer. However, more ways to communicate this message exist than ever before. Marketing efforts must continue to more effectively build brand awareness and preference, while also delivering a measurable return on investment. Savvy construction marketers increasingly embrace the concept of integrated marketing communications—a strategic approach designed to harness all aspects of marketing communication tools to work in coordination as a unified force. Marketing, whether an individual or a department, must strategically look at the key drivers to the company’s success and growth and help align resources to deliver profitability and build value. To truly lead with marketing, a firm’s marketing strategy must be an ongoing, dynamic process that enables a company to focus its resources on the right opportunities to increase profitability while satisfying the clients’ needs and achieving a sustainable competitive advantage. Brian Gallagher, director of marketing for O’Neal, Inc., and Kimberly Kayler, founder and president ofConstructive Communications, Inc., are co-authors of Leading with Marketing. For more information, email bgallagher@onealinc.com or kkayler@constructivecommuncation.com, or visitwww.leadingwithmarketing.com.